The morning before I left to go to Rachel Carson Conservation Park a second time, someone posted a picture of showy orchis on the Maryland Native Plant Society facebook page. So I went with two goals: to shoot the pinxters, and to find some orchids. It didn’t take too long to find them, but my planned two hour outing became three, then four, then five as I found more and more beautiful and interesting plants to shoot. 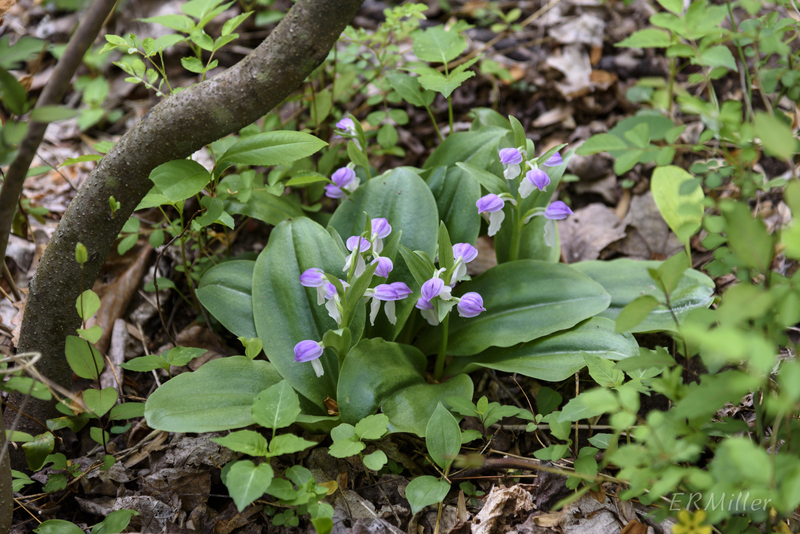 Showy orchis is low-growing, with a pair of large basal leaves and a single stem that may hold up to a dozen flowers. It ranges through most of the US and Canada east of the Mississippi River, and somewhat into the Great Plains states, growing in calcareous soils in rich, moist woodlands where there isn’t too much competition from other plants. 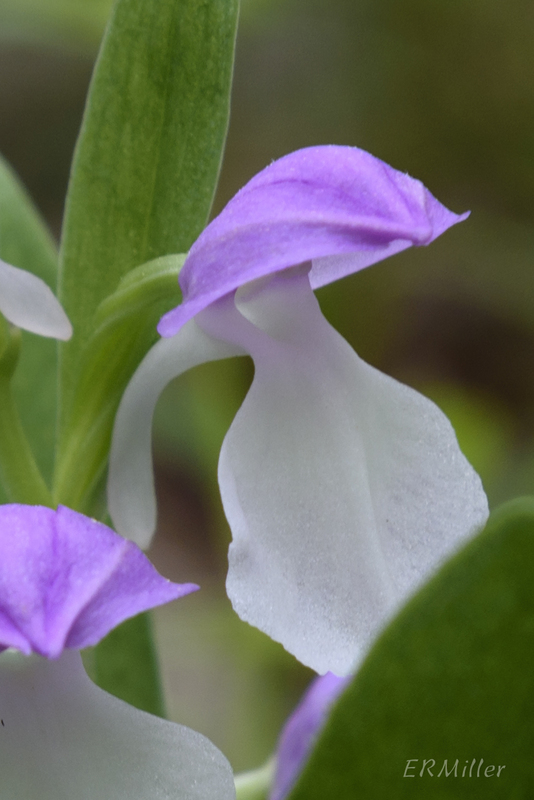 As with other orchid species, showy orchis has very specific growing requirements (including the presence of certain fungi in the soil), which makes it a difficult plant to grow in the home garden. Attempts to transplant them from the wild are doomed to fail. 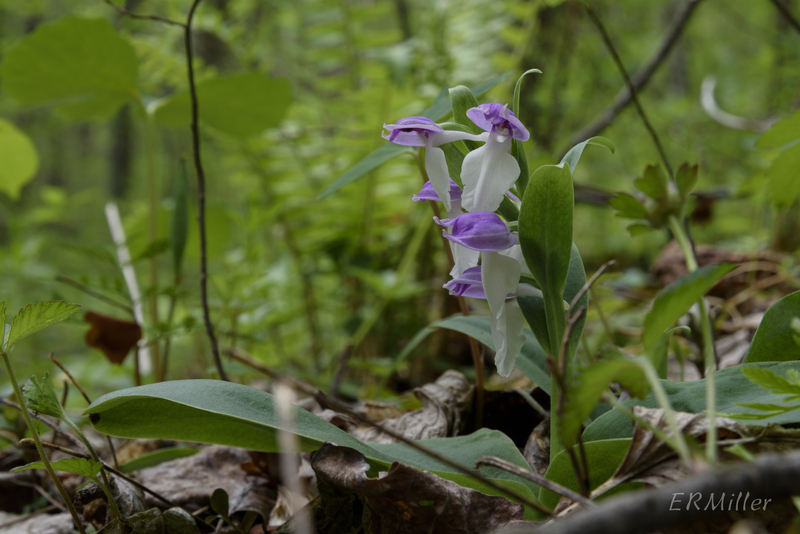 Showy orchis is endangered in Maine and Rhode Island, threatened in Michigan and New Hampshire, exploitably vulnerable in New York. There’s one other species in the genus Galearis (G. rotundifolia), but it grows much further to the north. “Orchis”, by the way, is not a typo. It’s a genus in the orchid family, consisting mostly of temperate Eurasian species. Galearis spectabilis was previously placed in that genus, so the common name is just a translation of the plant’s old Latin name, Orchis spectabilis. This entry was posted in Uncategorized and tagged Galearis, Orchidaceae, orchids, orchis, Rachel Carson Conservation Park by elizabeth. Bookmark the permalink. I’m looking at the park now. Need some help as to which trail I ashould be on. Can you give me your email so we could talk? Reluctant to post email here, but most of the showy orchis are on Fern Valley trail, as it winds down toward the river. Good luck and let me know if you see them!